The Reputation Economy: Are You Ready? You probably grew up getting lectures from your mom about the value of a good reputation. Well, as usual, Mom was right—and maybe more than she knew. Reputation is about to become a capital asset, and it’s going to be digital. I’m talking about the rise of the reputation economy. In fact the reputation economy has been rapidly growing for some time now. Before they do renovations, homeowners Google contractors to make sure they’re worth hiring. Consumers look at online product reviews before making a purchasing decision, and 90 percent say they’re influenced by those reviews. Another 64 percent say their purchasing decisions are influenced by social content. The vast majority of recruiters—91 percent—check out candidates’ social profiles before they call them for an interview. Why is that significant? Well, a recruiter who stumbles across that offensive Tweet you sent is probably not going to call. Too few Facebook or Twitter followers? You must not be very important or influential. Not posting professional content on LinkedIn? You must not be much of an authority. Those assumptions are already being made by consumers and employers, and they’re only becoming more important. Increasingly, your digital footprint will become inseparable from your identity and your reputation. Think about what that means for your business. No company can ever satisfy every single customer. Those that aren’t satisfied complain. More and more, they do that complaining on social networks. If you’re a business owner, how do you respond to those complaints? And which of your employees does it—a part-time intern, or a marketing/brand management professional? Does your company see the job of social media manager as a upper-level position, or something to toss to a recent college grad with little experience? Is your compensation in line with the importance of the position? Now think about your worst PR nightmare, one that angers a huge number of your customers. If it happens tomorrow, it will probably show up on Twitter, or Yelp, or LinkedIn somewhere. Do you have a social media plan for that situation? Will you be proactive and get ahead of the conversation, or will you wait until your company makes the “top 10” list of trending hashtags—and not in a good way? The bottom line is, your company’s social reputation will increasingly be so important that you could consider it a capital asset, and you’ll need to treat it as such. 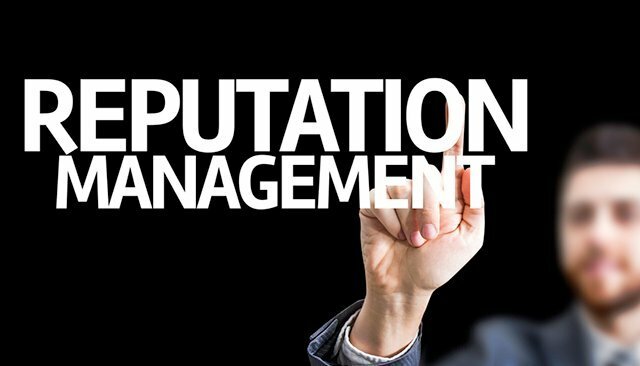 The employees entrusted with your digital reputation should be just as competent and experienced as the people who protect your monetary assets. For the visionaries out there, the reputation economy opens up a world of opportunity in businesses related to creating, preserving, enhancing, and even repairing digital personas. You just have to be innovative enough to see it and smart enough to take advantage of the opportunity now. Think about a new college graduate who discovers that all of those drunken frat party pictures he posted are standing in the way of landing a job. Or, what about a politician who sends out a really stupid Tweet and is afraid it could haunt the rest of her career? A company who divulges confidential information in a LinkedIn post? The innovator who figures out how to make those accidents disappear or impossible to find will be tapping a gold mine. One of the most powerful features of social media for both you and business is “social proof.” Social proof is the increasing tendency to have your worth as a professional strongly linked to your quantity of social media followers. You can say you or your company is the best, but when thousands or millions of people use social media to say you’re the best, you have social proof! One of the main points I try to teach is that in a world of technology-driven exponential change, the prize doesn’t go to those who react to change the quickest; the prize goes to those who use Hard Trends to see change coming and get out ahead of it. The reputation economy is growing fast! What are you going to do about it? This article was syndicated from Business 2 Community: The Reputation Economy: Are You Ready?